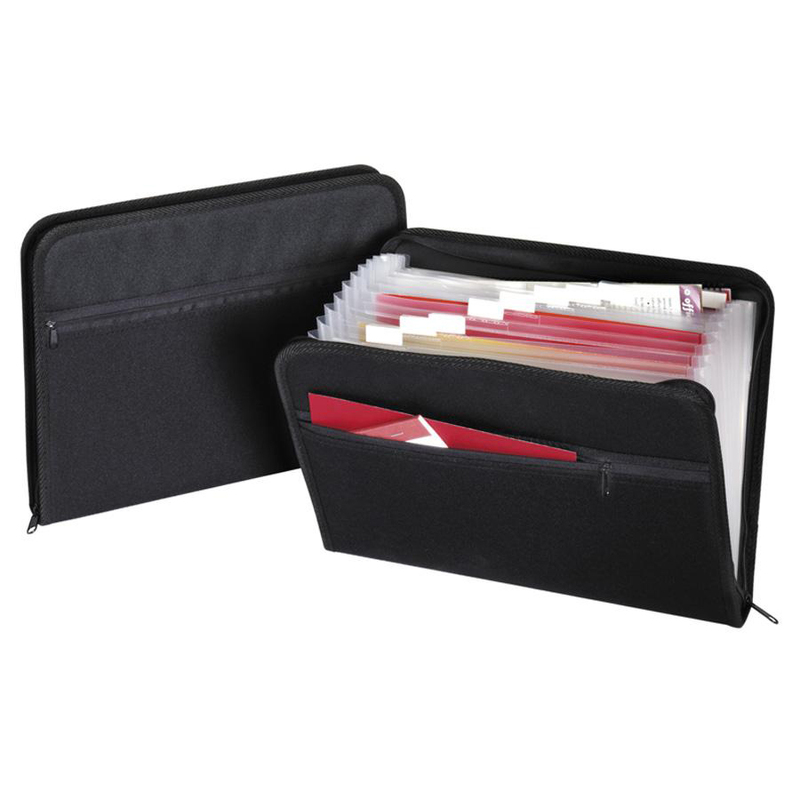 Fabric Zip File provides the perfect organizer for meeting with clients and business travel. 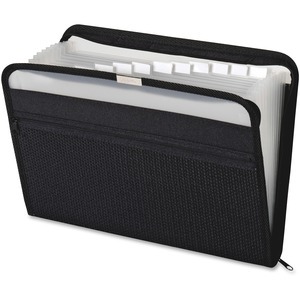 Professional-looking file keeps letter-size papers, business cards, projects, and expense receipts organized. 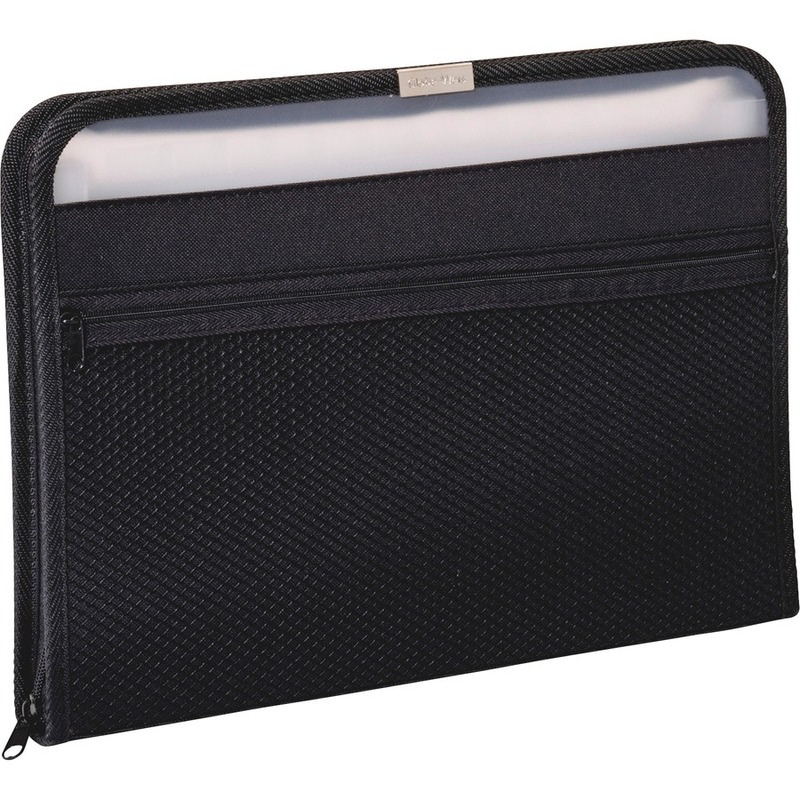 Made of durable poly with fabric covers and zipper closures, zip file offers 13 interior pockets and 12 tabs to help sort and organize projects, with an additional zippered mesh pocket on front for smaller items. Zip file includes A-Z, monthly and blank adhesive tabs for easy customization.